Out of all the parties to plan, most people would agree that planning their birthday party is the most fun. But while there is nothing wrong with wanting to celebrate yourself, there is a lot of preparation involved, and without the proper checklist, the actual birthday party can be extremely stressful. Start the planning process anywhere between two months to two weeks ahead of time, depending on how large your party will be. Here is a birthday party checklist to assist you when planning your next birthday party bash! The best thing about birthday parties is that they can fall on any point in the spectrum. They can be as casual or as formal as you like and you can do anything that you're up for. If you want to hold your birthday party at a bowling alley or at a tea room, you can do so. Think about this a few months in advance, since some outings require early event booking and reservations. 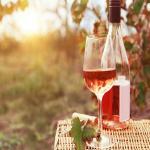 For example, tea tastings or vineyard trips tend to be booked at least one month in advance. This is especially the case if you need a hotel or other accommodations for your birthday party. Be aware of birthdays in the summer or holiday months as these are peak seasons. Once you decide what type of birthday party you want, you can start narrowing down the event locations. If you are looking to have your party at a bar, you should make a list of potential bars and then call them to see if they have private rooms or tables. Check out some of our very own restaurants with party rooms to get started in your search. Sometimes, if you have a big enough party, bars will reserve a table for you for free. Other times, there is a small fee. It is important to have a table booked because you don't want any of your guests being turned away at the door. If you prefer your birthday to be more intimate and not at a crowded bar, you can also look into booking a restaurant with a private room or renting a house for a night. Eventup has a multitude of event spaces to choose from that will fit all of your needs! The next step is making the guest list. This is when you need to decide if you want your party to be close friends and family or if you want to extend it to coworkers, friends of friends, and more. Just be sure to remember that if your guest list is large and your guests bring guests, you will need to accommodate them at your event location and with refreshments. Once you have perfected your guest list, it's time to send out invitations. The type of event invitation you send will depend on how formal or how casual your party is. If your birthday party will be a formal affair, send out physical invitations. If you are just having a casual gathering at a bar or restaurant, you can send out an e-mail, Facebook invitation, or even just a phone call or mass text. The most important thing to remember is that if you need to give the restaurant a head count for your reservation, then you will need to be specific with your guests on whether or not they can bring someone and when they will need to RSVP. If you are hosting a party that requires reservations, make them early on in advance, once you know how many people have confirmed their attendance. This will ensure that your birthday party will go exactly as planned and no one will be seatless! 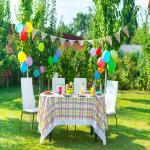 Whether you decide to host your birthday party at your house or a rental house, decorations are a must. Decorations will always make the party more enjoyable. Are you going with a theme? Cater your décor to match the theme, or just simply go with basics like streamers, balloons, hats, and a big sign that says, "Happy Birthday!". It's not a party without music, and if you're having your birthday party in an event venue, then you should definitely start building a party playlist. Be sure to add some of your favorites, top hits, classic oldies, and any other songs that you and your guests will enjoy. It's your birthday party, so feel free to add any and every song that you love! Lastly, if your event location does not accommodate food and drinks, make arrangements for them. Whether you order food or prepare it yourself, it's important to keep your guests satiated throughout the evening. Don't have time to prepare food and on a budget? Order take-out! Ordering something like pizza delivery is a great crowd pleaser, easy clean up, and can also accommodate both vegetarians and meat eaters! Have you thrown or been to a great birthday party recently? Did we miss anything important? Let us know in the comments below or on Facebook or Twitter.